Samsung Galaxy M10 and Samsung Galaxy M20 were launched in India just earlier this week, and now the two phones have already received a software update. The phones are set to go on sale from February 5, but ahead of that, the few review units out in the market have received an update. The update brings under the hood improvements, and comes with firmware version M105FDDU1ASA7 for the Samsung Galaxy M10 and firmware version M205FDDU1ASA9 for the Samsung Galaxy M20 smartphones. SamMobile was the first to spot these updates, and claims that these are minor updates with under-the-hood improvements. We were able to spot the updates on our review units as well. It includes the January security patch as well, but this was already available in the previous firmware. This update should be installed on consumer-bought phones out-of-the-box, the report claims. The update size is 102MB for the Samsung Galaxy M20 and 64.74MB for the Samsung Galaxy M10. 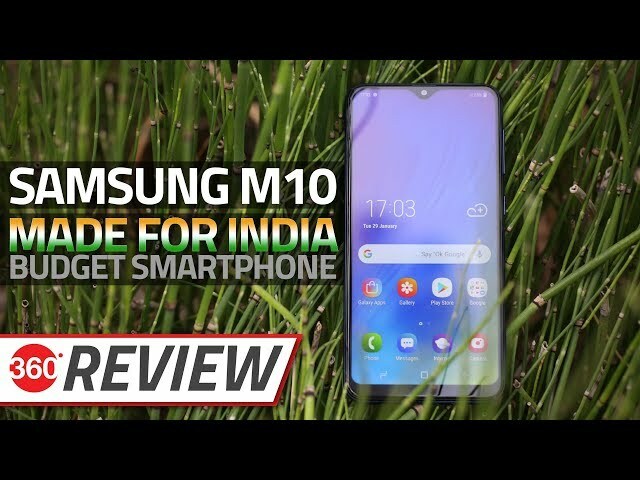 Samsung Galaxy M10 price in India starts at Rs. 7,990 for the 2GB RAM/ 16GB storage variant, while the 3GB RAM/ 32GB storage model is priced at Rs. 8,990. The Galaxy M20, on the other hand, will be available at Rs. 10,990 for the 3GB RAM/ 32GB storage configuration, while its 4GB RAM/ 64GB storage version will go on sale at Rs. 12,990. The two phones will go on sale from February 5 on Amazon.in and Samsung India e-store, and will be available in Charcoal Black and Ocean Blue colour options. The two phones support dual-SIM (Nano) support, run on Android 8.1 Oreo based on Samsung Experience 9.5 UX. The Galaxy M20 sports a 6.3-inch full-HD+ (1080×2340 pixels) Infinity-V Display, while the Galaxy M10 sports a 6.2-inch Infinity-V Display. The two phones are powered by an Exynos 7904 SoC and Exynos 7870 SoC respectively. Both the phones integrate a dual rear camera setup with a 13-megapixel primary sensor – sporting an f/1.9 aperture and a 5-megapixel ultra-wide sensor. The Galaxy M20 sports an 8-megapixel selfie sensor, and the Galaxy M10 packs a 5-megapixel selfie sensor. The phones come with microSD card slots for memory expansion (up to 512GB). The Galaxy M20 packs a 5,000mAh battery, while the Galaxy M10 packs a 3,400mAh battery. The Galaxy M20 alone sports a fingerprint sensor at the back.